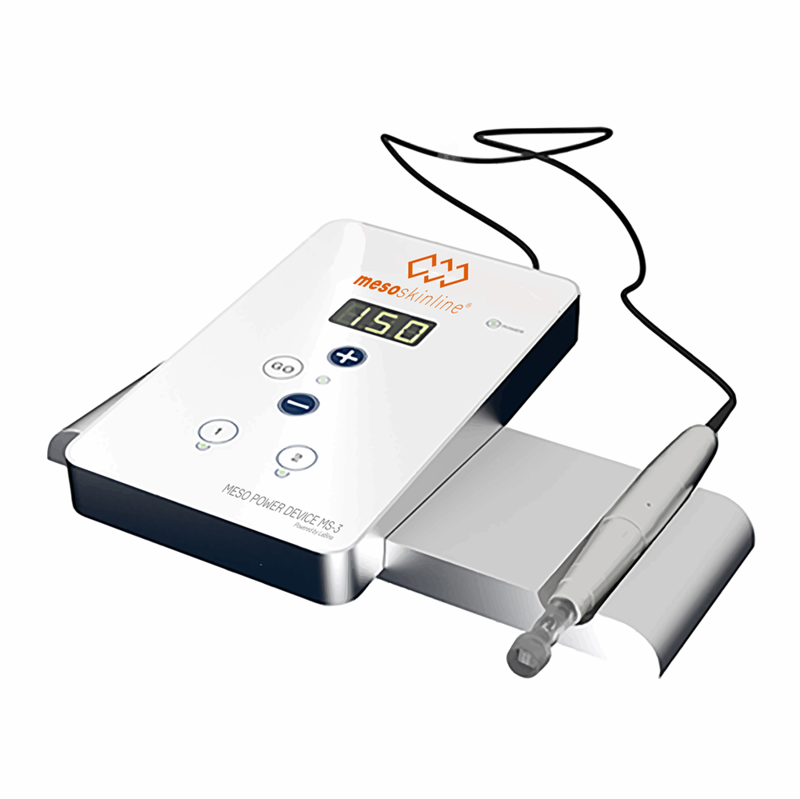 VYTAL MESO HANDPIECE is specially developed by MT Derm, for non-invasive mesotherapy and microneedling. Remember to select the correct power cord. If we do not have the one that fits your machine, please contact us. The handpiece generates little noise and vibration and fits easily into the hand. Its needles can be operated with a speed from 50 up to 150 hits/second. The high quality handpiece has convincing precision and silence. The Safety membrane prevents backflow of the liquids and no risk for contamination of the handpiece. The variety of meso- and microneedling modules allows you to choose the appropriate needle for each treatment. Better results are being achieved due to suitable needlesize. The tilting needle plate adapts to the surface of the skin = less snagging on the skin surface and minimal epidermal trauma. The single needles give higher penetration force and less pain for the patient. Vytal Microneedling module, 6-point needle plate, Adjustable needle length - max. 0,7 mm. Vytal Meso mudule, 18-point plast needle plate, Adjustable plate length - max- 0,5 mm.